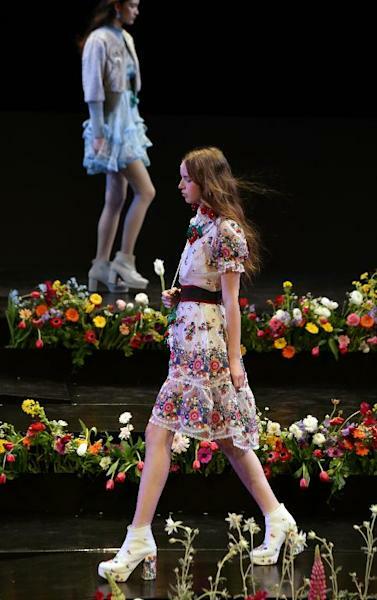 Tokyo Fashion Week opened Monday on a floral, fairy tale-inspired note, as a popular brand from Thailand turned the catwalk into a labyrinth strewn with petals. Organisers of the line-up chose Thai label Sretsis -- "sisters" written backwards -- for the opening display in the trendy Shibuya district, in a bid to underline Tokyo's leading position in the Asian fashion scene. With whimsical chiffon dresses, a fox-shaped hoodie-shawl and hand-crocheted fruit earrings, creative director Pim Sukhahuta told reporters after the show that she wanted to create "treasurable, not trendy, but timeless pieces". "It's my own imagined labyrinth," she said of her Autumn/Winter 2015 collection, which is filled with "flowers, fruits, strawberries, grapes and strange monsters that are also friendly". The show heavily featured a large-scale "fantasy labyrinth" print on silk chiffon and a German-made wool-blend that looks like fur and is used in Steiff teddy bears. "I like something young and cute and playful but at the same time with a more sophisticated sense," she said, summing up the idea as "fairytales for grown-ups". Sukhahuta began designing clothes for her sisters, who are also involved in the Sretsis label, which launched in 2002. It is the first of 52 brands exhibiting at Tokyo this week, six of which are from outside Japan. 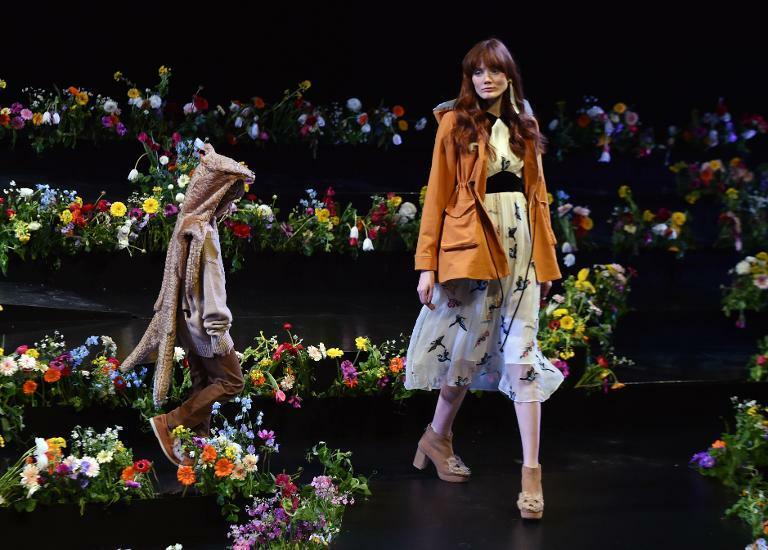 Akiko Shinoda, director of international affairs at Japan Fashion Week Organisation, said each brand featuring on the runway would be "completely different -- there's no one theme or concept". Tokyo Fashion Week is largely seen as a launchpad for edgy young designers, not yet attracting the big names seen at Milan, Paris, London and New York. 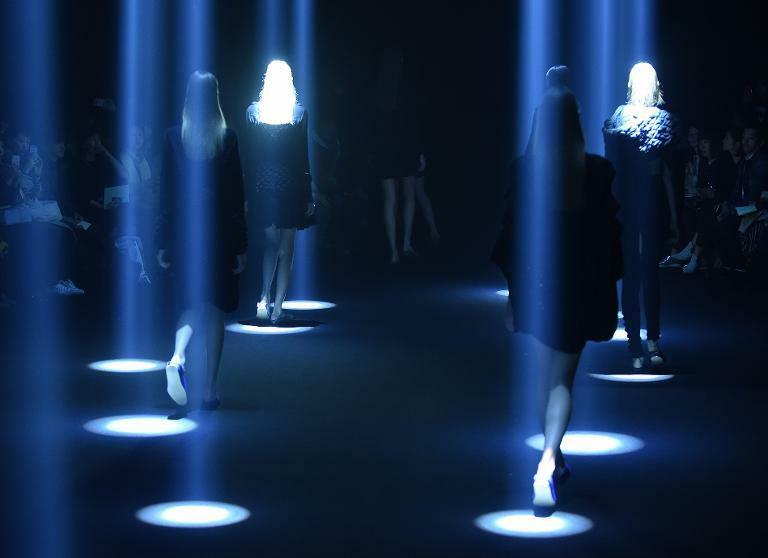 Established Japanese designers such as Yohji Yamamoto, Junya Watanabe and Rei Kawakubo, founder of Comme des Garcons, all show their collections in Paris. Shinoda said Tokyo maintained its position at the helm of Asian fashion thanks to its strong street style, which is "edgy and punk", but she warned that other regional centres were catching up. "The Thai government has invested so much in fashion," she told AFP, calling for more "incubation programmes" to develop new Japanese talent. "At the moment Tokyo is number one, but we have to keep up the effort."